This is the demo site to show Pujangga, a tTheme for Pelican blog engine. Much of web applications use modal dialog or pop up message on several page. So de idea is to make creating modal container at once and use it anywhere. It's easy as just pass the content to the plugins. I use libraries that commonly used over the world.Those are Jquery, Twitter bootstrap, and bootstrap Modal. And I will write my plugins on generic-modal-container.js file. Look at code below for the complete plugins. First variable define bootstrap modal, and callback function will called when Ok button clicked. I can add more option to modify button dialog label and show/hide Ok button when used on alert message. Next, I just call that jquery plugin when I need to show a modal. The contents of modal also can be filled by Ajax request. Here how to use that plugins. Look at on JSFiddle for demo. When we write much of AJAX call, we waste our time to write beforeSend() and complete() events for each AJAX calls. It's also affect on total lines of code. 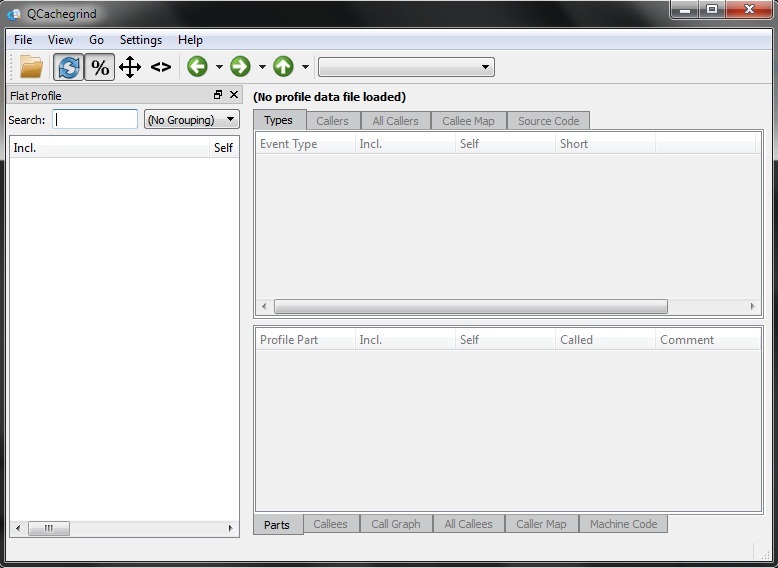 // and no other Ajax requests are currently running. // Ajax requests being processed. The complete list of global and local jQuery AJAX events can be found at http://api.jquery.com/Ajax_Events/. How To Trace And profiling Your PHP Code Performance? This morning I got problem that performance of my application going slowly. This case just occur at this moment, not before. The application just worked yesterday and the days before. Well, It's just on development phase and it scared me. If the application has worst performance on development, how can I step forward to production? Firstly, I check the error message. PHP and Apache log file to ensure there is a code failures that guide me to fix this problem. All show no error reported except just "Application timeout". When I have no clue what pieces of code going wrong and work unexpected, I have an idea: "It's time to profiling my code. Maybe there is unstopped loops that I don't know where it is." And PHP Info show me that Xdebug module has loaded properly. And now, I run my application. 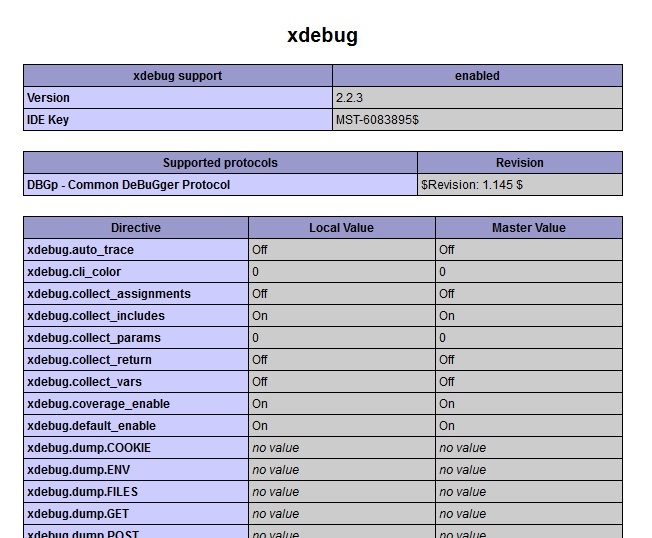 Once application started, Xdebug will provide files that show us the application performance. This is just text file so we can read it directly using text editor like notepad. However, I confuse to read the information, so I decide to read using Qcachegrind. 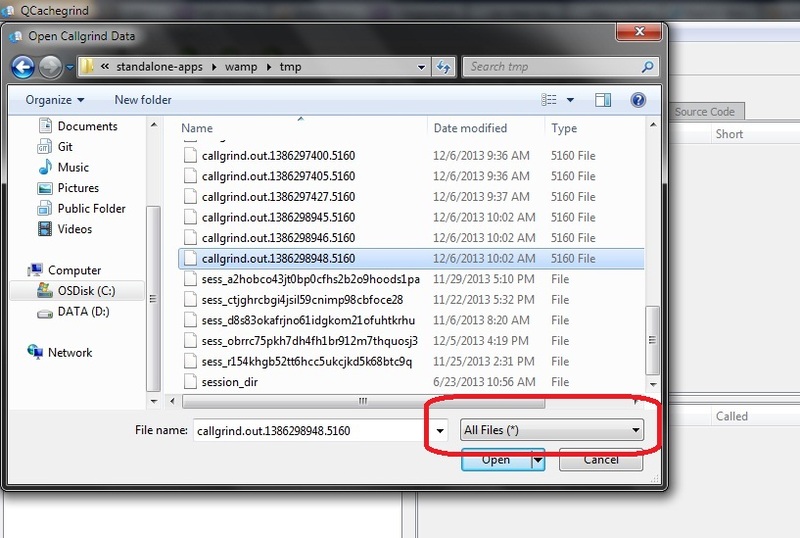 Just run qcachegrind.exe and select xdebug profiler output file as look like image below. Look! QCachegrind show me that CI_log->write_log() method take most of all time. This Blog generated by Pelican using Pujangga theme. All content on this blog, unless stated otherwise, is licensed under the CC BY-SA 4.0 International license.